It is not hard to see why the Wendy’s High School Heisman Committee chose Kyle as their National Male Winner in 2009. 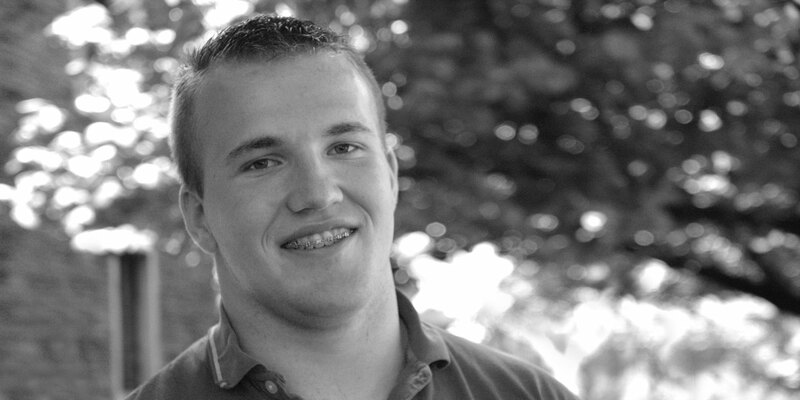 Not only was he a stellar three-sport athlete, reaching the state championship in wrestling for three consecutive years, and his high school class valedictorian, but Kyle was also a dedicated servant to his school and community through numerous service organizations. With the knowledge that he is a role model for his teammates, peers, and younger students, Kyle’s high school teachers and friends explain that, “Kyle helps pull those around him up and continues to serve as an example of what can and does happen when you combine a lot of hard work and a little direction.” Kyle, learning from his fulfilling and meaningful community service activities in high school, has chosen to immerse himself in the community at Stanford. He is a counselor for a week-long camp for children whose parents currently have cancer or have died from cancer, is on the leadership team for an organization that serves breakfast to a homeless shelter once a week, volunteers weekly at a church by leading a middle school bible study group, was the 2011-2012 editor for a Christian journal on campus, and interned for Ball Corporation. After college, Kyle would like to help rebuild the infrastructure of small and under-resourced communities. To help him realize this goal, Kyle plans to pursue a degree in civil engineering.